Vélo Vogue: Off-subject but very important - An invitation to my film's fundraiser! Off-subject but very important - An invitation to my film's fundraiser! OK - not totally off-subject. You can bike there! If you can't attend, please click here to make a donation! 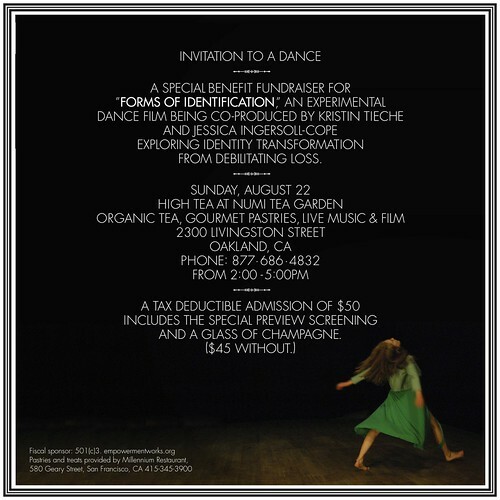 To read more about Forms of Identification - an experimental dance film exploring identity transformation - click here. You will also be able to contribute by check at the door.